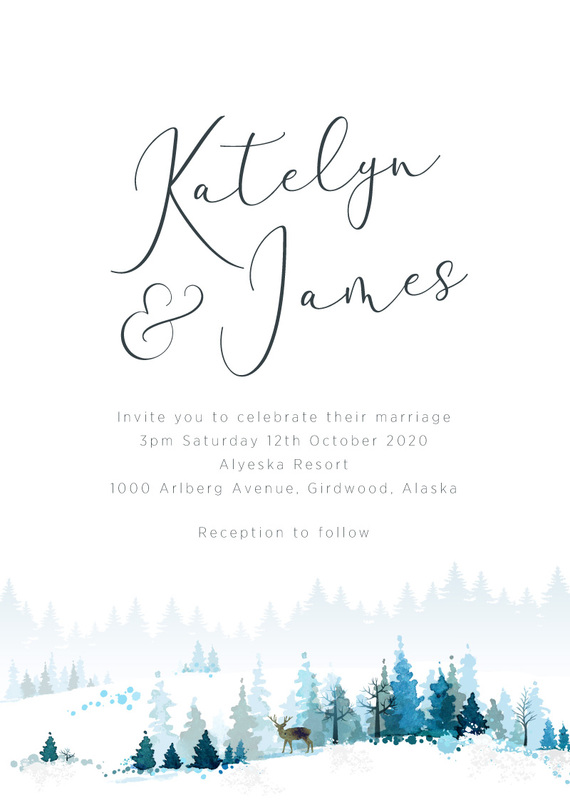 These beautiful mountain modern life wedding invitations 'Alaska' design comes to us from top local designer, Amber Barker, and features a beautiful watercolour landscape that makes it perfect for mountain wedding invitations or tree wedding invitations. It is also ideal for anyone looking for forest wedding invitations or woodland wedding invitations. If you're getting married in the great outdoors or you just have a passion for natural beauty, these simple winter wedding invitations are for you.